A perfect score has to be considered in the context of its region. 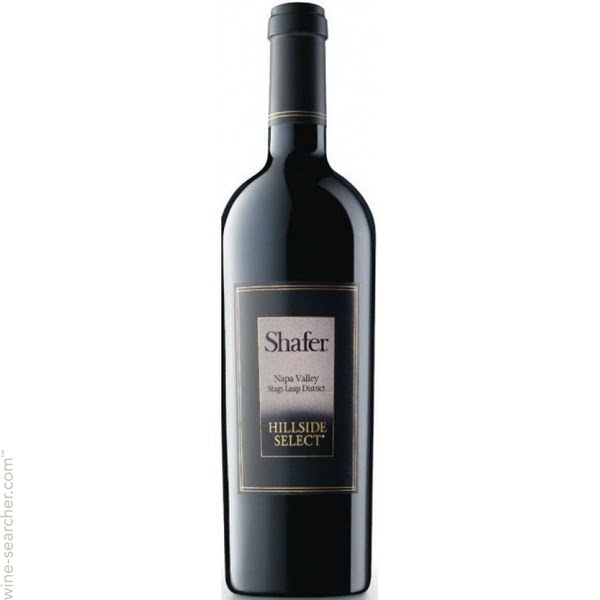 Shafer’s 2004 Hillside Select is tremendous as a Napa Valley Cabernet Sauvignon that competes with its peers at the highest levels. It’s always a fabulous wine, but in warm 2004, Shafer’s amphitheater vineyard sheltered the grapes, ripening them to perfection yet protecting the “iron fist in a velvet glove” structure that André Tchelistcheff defined as Stags Leap. This 100% Cabernet is tremendous in cassis, black currant and mocha flavors, and the 100% new French oak provides perfect additions of smoke and caramel. It’s soft and gorgeous enough to drink now, and should age well in a cool cellar for the next 20 years. Composed of 79% Cabernet Sauvignon, 11% Merlot, 5% Cabernet Franc, 4% Petit Verdot and 1% Malbec, the saturated purple-colored 2004 Proprietary Red Wine is a wonderful monster in the making. It boasts a dense purple color as well as notes of beef blood, creme de cassis, licorice, incense and spring flowers. It looks more like a 2-year-old wine than one that has seen its tenth birthday. Mouth-coating, unctuously textured, corpulent but well-delineated, this is a spectacular Proprietary Red that is even greater than I remember it in its youth. Bravo to Jayson Pahlmeyer (I believe his winemaker at the time was Erin Green) for this dynamic duo of 2004s.